They said it couldn’t be done. 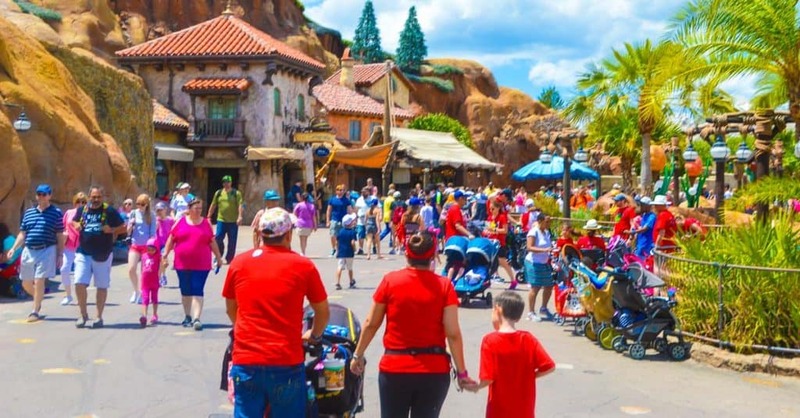 They said there’s no way to “do Disney World” the wrong way—especially with all the choices in ways to experience the magic that pour from every attraction, every show, every encounter in the parks. But I disagree. You can do it wrong. You might be doing it wrong (or making plans to do it wrong) even now. If you’re not sure, see how many of the 8 things below describe your approach to a visit to the parks. The good news is that if they do, the accompanying “make it right” suggestions will get you back on track—no worries! But when you began to look for available experience times, they were all booked. And today is the first day of your visit—you against the crowds, sans FastPasses. Oh, and it’s also the second week of June, and there are about 564 billion people at Magic Kingdom. Every stand-by queue time reads 75 minutes or more. You look for an attraction where you’ll get a break from the heat and a break from the crowds, but you can only experience the Carousel of Progress so many times per trip. You’re standing idle in the middle of Tomorrowland, wondering what to do. And because he’s hot and tired, your husband begins to list—in alphabetical order—all the expenses that have accompanied this trip. He asks the age-old question born from irritation: “Why did we pay all this money to ride nothing?” And now the kids are hot and tired and hungry and grumbling and bickering and whining. Your eight-year-old had his heart set on Buzz Lightyear’s Space Ranger Spin, but no FastPass means no Lightyear—not with a wait time of 105 minutes! Your little princess wants to meet her favorite princess, but the line is out the door. Now she’s in full-blown meltdown mode. Disappointment begins to consume you as you feel your shoes melting into the pavement. And now the baby is crying. T-minus 10 seconds until Buzz isn’t the only one in orbit. LET’S DO IT RIGHT: That 60-day window isn’t only a suggestion, it’s the only way to go, especially if you’re visiting the parks during peak seasons. Even if you aren’t staying at a Disney resort, you can still make your FastPass+ reservations 30 days in advance. Long lines, heat, a grumpy family and temperamental weather do not combine to make magic. They make madness. Don’t do it wrong. 7. You’ve promised your daughters dinner at Beast Castle, but you didn’t make a reservation. And because of the restaurant’s popularity in the evening, you really will need faith, trust and pixie dust to approach this situation. And even that probably won’t score you a table. To add insult to injury, the little darlings are decked out in their yellow silk dresses and their hair is half-up, half-down, just like Belle—because they’re sure they’re meeting the master of the castle and eating dinner in the Grand Ballroom this evening. But you haven’t mustered up the courage to tell them the news just yet. What a quagmire! You could tell them that Beast isn’t feeling well tonight. No, they’re too smart for that. Oh, what are you worried about—these Cast Members are paid to make the magic happen, right? Surely they’ll work something out so the little preciouses don’t have broken hearts at Disney. Except that the Cast Member at check-in apologizes profusely—they’re completely booked tonight. Commence the community cry in 3-2-1. . .
LET’S DO IT RIGHT: Always, always, always make dining reservations in advance of your trip. Always. 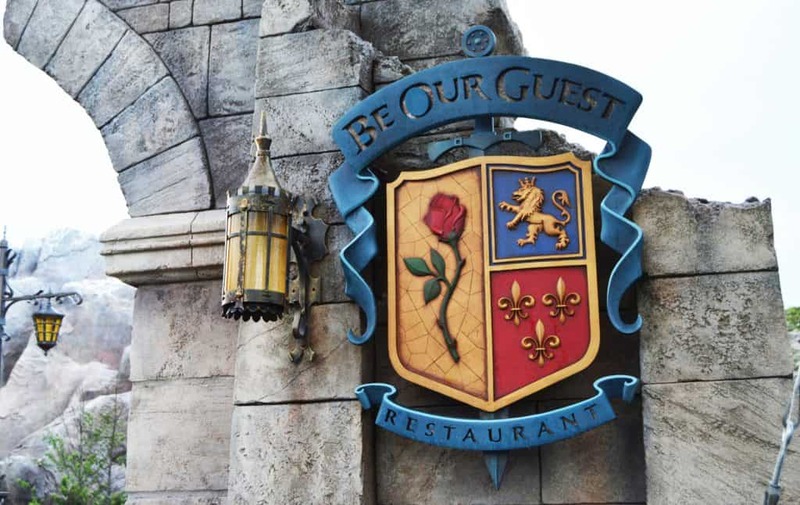 This is especially important when it comes to uber-popular dining venues or dining during peak seasons in the parks. Access the My Disney Experience app on your smartphone up to 180 days before your trip and get those reservations set in stone. You can always cancel later if you change your mind. You can’t, however, change your daughters’ minds when they’re so set on living out their favorite Disney movie over dinner in the parks. 6. It’s 4:00 p.m., and you’ve been at Hollywood Studios since 9:00 a.m. for that Toy Story Mania FastPass+. And you’ve decided to forgo naps and breaks for everyone. Congratulations. You’re now the proud owner of the loudest and most irritable toddlers in the park. They aren’t used to this new schedule. They’re used to a nap after lunch. 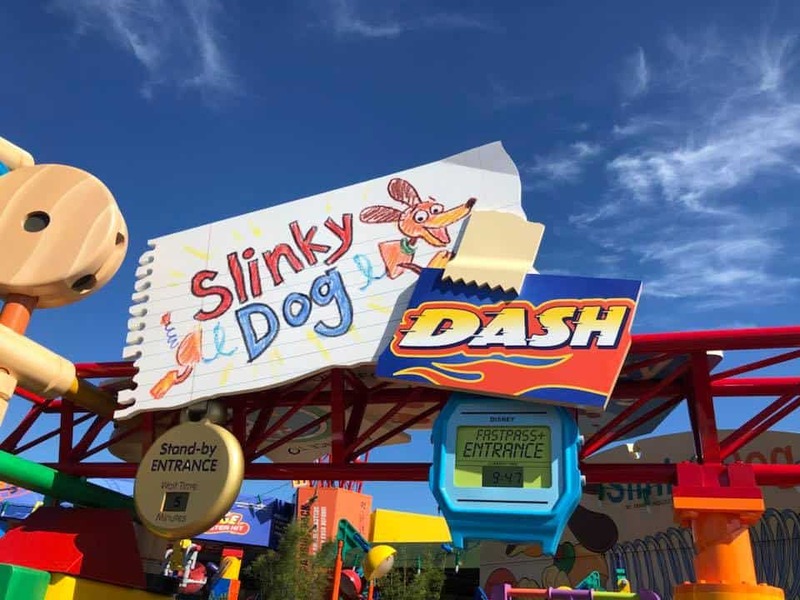 But a nap for them today would have meant no Slinky Dog Dash via Rider Swap for you. (After all, there was only one FastPass+ time remaining for the ride, and beggars can’t be choosers, you know.) It’s been seven straight hours of family fun and Disney magic. Only now that seems like a faded memory as your little ones are literally clawing at the stroller to get out and find somewhere horizontal to lie their little heads. And you can’t—for the life of you—understand why the inconsolable darlings can’t push through the day like you. You’ve finally brought them to Disney World, for goodness sakes! LET’S DO IT RIGHT: You can’t expect to approach a day in the parks like you would the Boston Marathon. There are no prizes for “Family Who Rode the Most Rides in One Day.” Oh, but there is a prize in spending quality time with your family, enjoying the little things, resting together and watching for clues of looming meltdowns and tantrums. You also can’t expect little ones to roll with a total obliteration of nap time and breaks. It doesn’t have to be a big production (leave that to Disney). It can be as simple as an hour or two during which you return to your resort room, take a sabbatical from the crowds and let the babies nap. There are no rules against re-entering the park later, but there are consequences for pushing on through the day without that break. An exhausted toddler does not care that he’s about to meet Woody and Buzz. He cares about closing his eyes and resting. And you should too. 5. You read several posts at DisneyDining.com that urged you to pack extra socks, but. . .
. . . you didn’t see the immediate need. Because there wasn’t an immediate need. The torrential rainfall didn’t start until after lunch. And it hasn’t stopped. It’s been two hours. And you’re at Animal Kingdom. So because of the rain and the accompanying lightning, you also cannot ride Kali River Rapids or Expedition Everest. Ugh. Walking around Asia and Africa was reminiscent of a soggy trek through the Florida swamplands because of your soaking wet socks. And as the sun begins to wake from its slumber in the western horizon, you realize that those slimy socks are making you feel uncomfortable all over, and you begin to imagine a barter in the parks that would afford you a pair of dry socks on the spot. And what about those two attractions you missed? “Best Day Ever” seems like a cruel joke. LET’S DO IT RIGHT: Bring an extra pair of socks for everyone in your party. Yes, it’s a pain to put all the socks in your park bag—but not quite the pain you’ll experience if your feet stay wet and you have to listen to everyone complain about the slime for the rest of the day. And for the love of hope, never trust a Central Florida doppler radar. Those clear Florida skies can easily give way to showers that pop up with little warning, even if the Weather Channel’s crystal ball disagrees. Be prepared for inclement weather and the ensuing ride closures it can cause. And then practice patience when asking a Cast Member for a take two of those missed FastPass+ times. 4. You just bought the sleekest pair of Adidas. And today isn’t just your family’s first day at Magic Kingdom on this visit to the parks; it’s also the first time you’re wearing those super cool runners. (And they look good too! The right color, the right size—perfect!) But by 11:00 a.m., it becomes apparent that these shoes fit quite differently than your Nikes. You begin to hobble across Fantasyland, quasi-racing to Seven Dwarfs Mine Train (yes! You scored the all-important 7D FastPass+!). But you begin to wish you had your own personal swaying mine cart in which to ride around the park. A hundred more steps in those kicks, and the backs of your ankles will have blisters that resemble the poison apple itself. You’ve got to hurry to 7D, relish that FastPass+ and then race to Enchanted Tales with Belle and hear the tale as old as time about how the beautiful damsel falls for the hairy beast. But continuing to walk in these shoes might just make a beast out of you! LET’S DO IT RIGHT: You really have two options when it comes to choosing footwear in the parks. Either wear shoes that are already comfortable—but that offer good support—especially since you’ll be doing a lot of walking. Or you can choose to buy new shoes before your trip. If you do, however, be sure to wear your shoes for several days at home before showcasing them in the parks. Otherwise your new accessories might become an accessory to your demise as you limp around the park, wishing you had just worn your comfortable old stand-bys. 3. You’ve marked 9 things off your “Disney To-Do” List, but drinking water wasn’t one of them. You should be fine though. It’s only 94 degrees outside with a relative humidity of 50% and a heat index of 99. (You live in Texas and Texans can handle anything the weather throws at them.) But as you’re headed to Biergarten in the Germany pavilion at EPCOT, you begin to notice that you aren’t sweating much anymore. That tiny headache you had an hour ago is almost a full-blown migraine, and the World Showcase is starting to spin. What the. . . ? You awaken to a crowd of Guests and two sweaty paramedics taking your vitals and saying something about the heat. 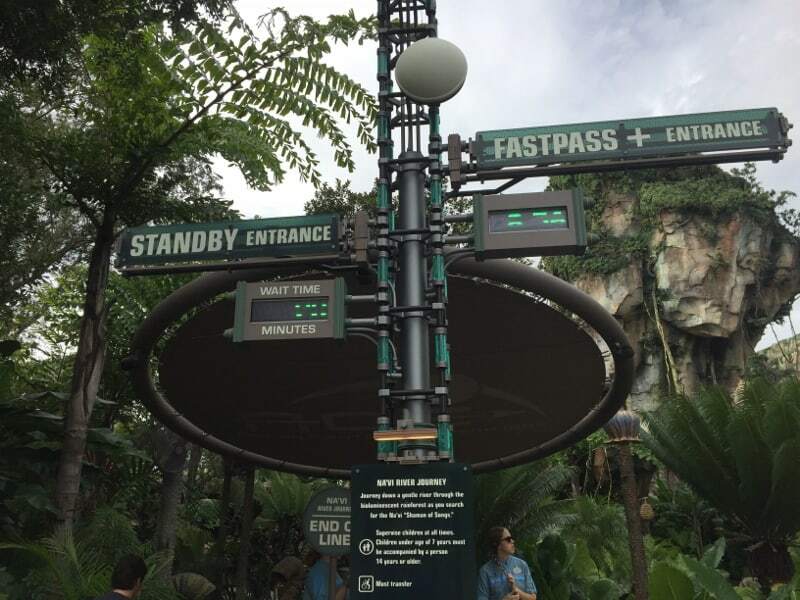 You were going to hop to Animal Kingdom later in the afternoon to finally experience Flight of Passage. Instead, your gurney is hopping into the back end of a Reedy Creek ambulance and the only flight you’ll be experiencing is the one down the highway to the hospital in Celebration. You, fellow Disney fan, are the newest victim of heat sickness. Oh, and you’re also wildly dehydrated. Sorry, Pandora. Maybe next trip. 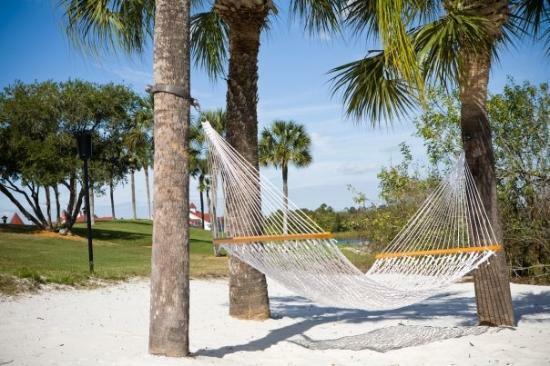 LET’S DO IT RIGHT: There are so many things to see and do at Disney. And so many important things to remember—not the least of which is to drink lots of water. It’s free and available upon request at every counter- and quick-service venue in the parks—and with no limit. Don’t be fooled. Dehydration and heat sickness are a lot like Disney villains—sneaky, deadly and they can pop up without warning. Even if you’re used to the heat, don’t take a chance. After all, if you wanted a trip to the hospital, you didn’t have to come all the way to the Sunshine State—pretty sure they have hospitals where you live too. 2. You didn’t pack a park bag. Somehow you figured everything would just work itself out, and those five water bottles, four tickets, two wallets, six packs of gum, two bottles of SPF 85, four pair of extra socks, 30 trading pins, three souvenirs and two zippy bags full of Goldfish would all fit in a combination of pockets. You also figured that everyone in the group who brought a lightweight jacket (to wear that evening in the parks) would keep up with it himself. You couldn’t have been more wrong. And now you, your two kids, your husband and the family from church you’re traveling with look like a caravan of shopkeepers moving across the desert to sell their goods. If only you had a horse with saddlebags. . .
LET’S DO IT RIGHT: A park bag is as necessary as your park tickets. Don’t head to the parks without one. It doesn’t have to be a camping backpack with 30 pounds of gear and Disney keychains hanging from every metal zipper pull. 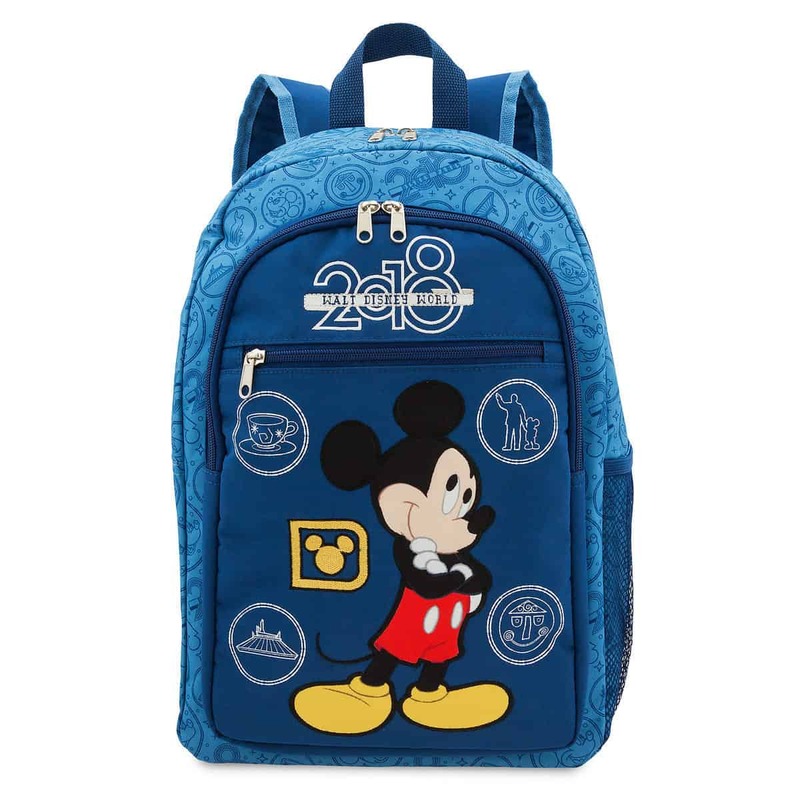 But it makes sense to bring a sturdy backpack into the parks—especially if you’re traveling with a family. Keep essentials in there like sunscreen, wallets, keys, snacks, extra socks, lip balm, etc. 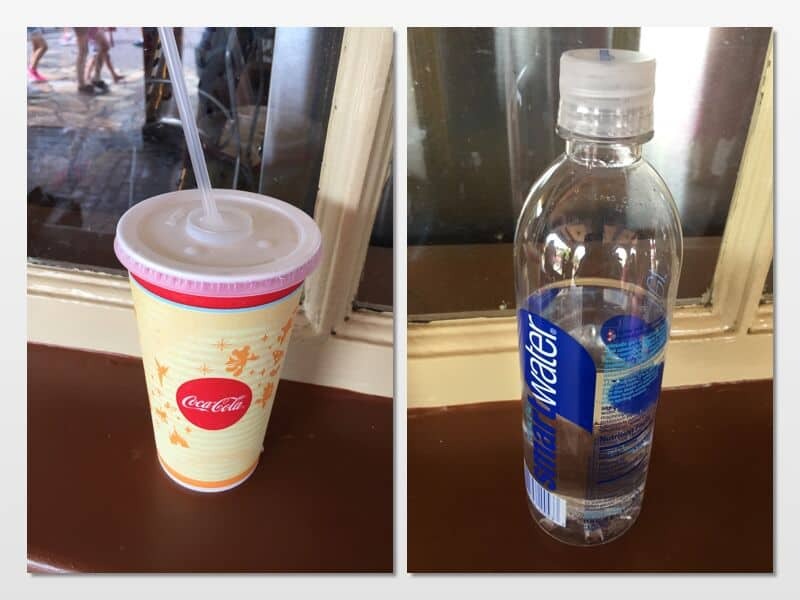 This keeps you from having to purchase these items in the parks, and it makes them easily accessible to you and your family. 1. You’ve created the perfect parks touring itinerary, and there’s no room for changes. Yeah, your typed, collated and stapled itinerary—one for each member of your traveling party—is so amazing, that nothing in the parks has been left out. And furthermore, nothing has been left chance. You feel strongly that the only way to “see it all” is to follow the itinerary to the letter and without exception or substitutions. Day One went fairly well (you’ll just have to add Park Hopper to your tickets and make up all the things you missed before you head for the airport at the end of the week). But now it’s 2:00 p.m. on Day Two, and the group is getting fussy about all the walking at EPCOT. They have the nerve to ask why they can’t see the World Showcase before they visit Future World! Do they not realize all the time and effort you put into this ironclad itinerary?? 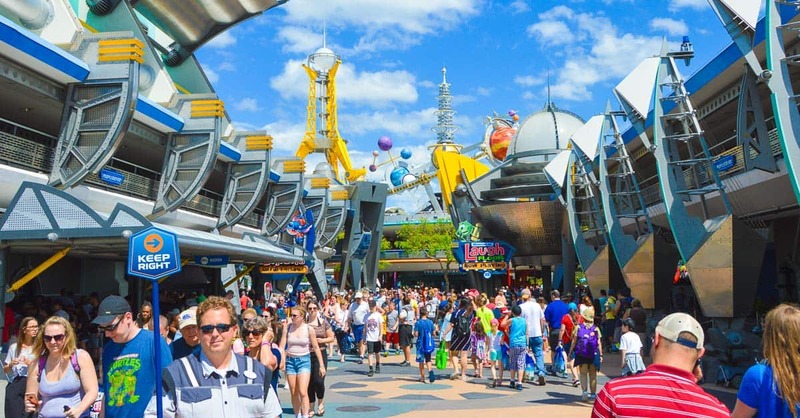 After all, one slip-up here or too much time spent there, and you might not be able to check 100% of the items off your EPCOT bucket list, and that’s not happening. And now everyone is frustrated with you and complaining. “Seriously? !” you mutter under your breath as you wonder why they don’t appreciate all the planning you’ve done. LET’S MAKE IT RIGHT: Whoa, whoa, whoa! Who said this was a contest? We don’t really mean an actual bucket list! It’s just a list of experiences we hope to have in the parks—over time. So slow down. Stop for that photo. Experience. Take it in. Smell the roses. And the gardenias and the petunias and the pansies. Yes, you really do have time for that French pastry. For that matter, sleep late. Stay late. Swim at your resort till noon. Head to the parks at opening. 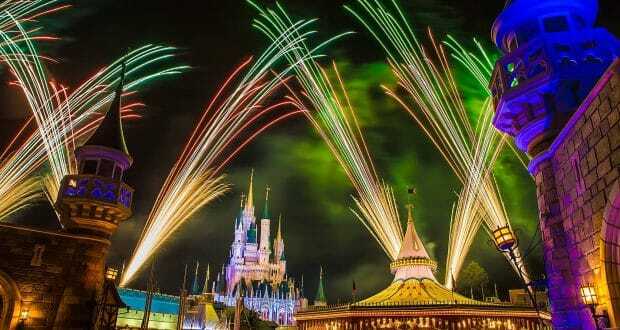 Head to the parks for the fireworks. Disney World isn’t a fly-by-night operation. Guess what? It will be here next year and the year after and the year after. People have been enjoying the magic for almost 50 years. The parks will be there. The opportunity to have those experiences with loved ones won’t always be. Plan, yes, but for goodness sakes, ditch the rigid touring plans. You’ll make madness instead of memories. After all, it’s Disney, not a documentary.